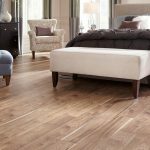 With plenty of options to choose from, many people are opting for laminate flooring and it is a popular alternative to hardwood. So what exactly is laminate flooring? Well, laminate material consists of high-density fiberboard which is expertly reinforced with a special kind of resin that enhances the material’s resistance to moisture and durability. The laminate material is layered during the construction process for added reinforcement especially the bottom part which is exposed to moisture that may cause warping. The top layer also has a protective layer that helps preserve the design and keep the material from scratching, fading and general wear and tear. 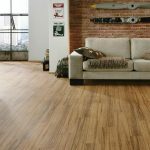 Without further ado here’s a comprehensive list of reasons why laminate flooring would be a good option for your home. Laminate material started being use in the 70’s and it was designed as a durable, pocket-friendly alternative to the more expensive hardwood. When it was first introduced, many people were glad to have a cheaper alternative that looked and felt like wood but with a better price tag. In the early days, though, the laminate was not as sophisticated as the modern options and it kind of looked like plastic. Over the years, technology has evolved and manufacturers are able to create great wood-looking laminate material while still keeping the costs down. 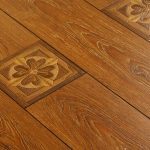 Some of the modern laminate flooring designs can even fool people into thinking the floor is actual hardwood; and all at a fraction of the cost. If you were to install hardwood floors, the raw material would most likely come in form of plank. Some of these planks could measure up to 10 feet or even longer. They are also very heavy. The process of transporting, carrying and installing of hardwood floors is, therefore, quite taxing and could cause logistical nightmares. On the other hand, laminate material is usually sold in convenient strips of about four feet each. 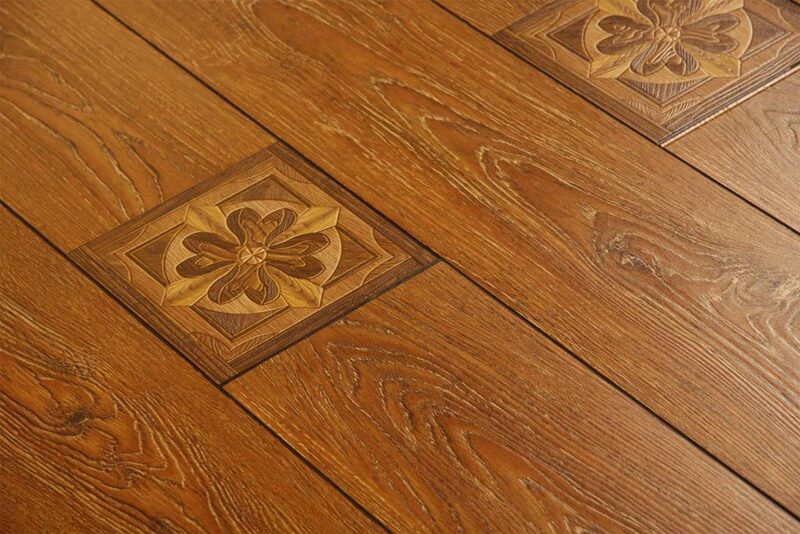 The laminate could also be constructed in tile form which is much easier to transport and install. Unlike hardwood, the laminate material can be altered to create very interesting designs to suit various tastes. The material can easily be customized during the construction stage resulting in various inviting designs. From faux wood grain to floral prints, there is no limit to the kinds of designs that can be etched on to the laminate surface. 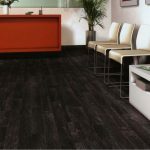 Various colors and textures can be incorporated into the overall design to create an attractive final product.You could have laminate flooring that comes in strips, tiles, large sheets, smooth, tactile, floral or even animal print. The material is very versatile and manufacturers are coming up with plenty of eye-catching designs to offer consumers more choices. A major benefit of laminate flooring is that it can be installed on virtually any kind of floor (excluding a carpeted surface). 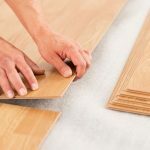 So long as there is a suitable moisture barrier in place, the laminate material can be easily installed since the pieces usually just snap into place. 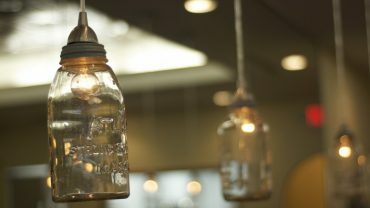 Those who are DIY enthusiasts can do the installation without much hassle. If you get an expert to do the installation, it normally takes a short period and rarely extends more than a day unless it’s a large area or there is another issue hampering the process. Some surfaces can be quite a hassle to clean. A major benefit of laminate flooring is that it offers significant resistance to stains and spillages and can easily be cleaned. Sweeping, vacuuming and mopping is a breeze if you have this kind of floor. Other flooring materials like hardwood, for instance, are not resistant to moisture and require special treatment and elaborate cleaning procedures. It is worth noting, though, that your cleaning procedure will depend on the type of laminate material that your floor has. Some types of laminate can be get damaged if harsh cleaning agents are applied directly to the surface. Try applying the cleaning agent onto a damp mop or cleaning cloth before cleaning. You should also find out from your installer whether you will be able to use cleaning machines such as steam cleaners, spray mops, and power cleaners. If want to make the laminate floor shine you have to clean the surface thoroughly and after drying, apply laminate floor shine product. As mentioned earlier, laminate floors have a certain degree of resistance to moisture which means that there is hardly any chance of warping or water damage that is likely to occur. This can greatly increase the lifespan of the floor. Most laminate floors have UV resistant properties which protect the surface from UV fading that often occurs due to direct exposure to natural light. Laminate floors have a resin coating that adds a protective layer. This makes the surface scratch resistant, stain resistant and impact resistant. 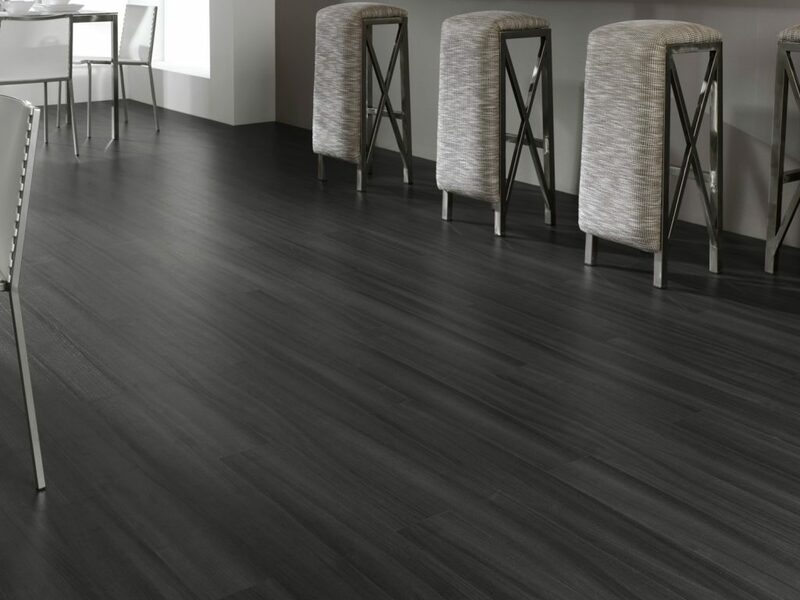 In terms of durability, formal studies have been done and many results show that laminate flooring lasts longer than vinyl, carpets, and even many hardwood varieties. The floors can even withstand the rigors of pet activity. The ‘going green’ movement is growing which means that people are more conscious of what they consume and how it impacts the environment. The good news is that the materials used to construct the final floor laminate panels are environmentally friendly. The majority of the raw materials are sourced from wood and by-products of wood which are combined with synthetic components. 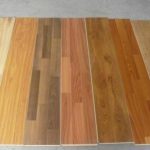 Due to the increased consciousness on the need to conserve the environment, most manufacturers of laminate floor panels source their products from licensed providers. 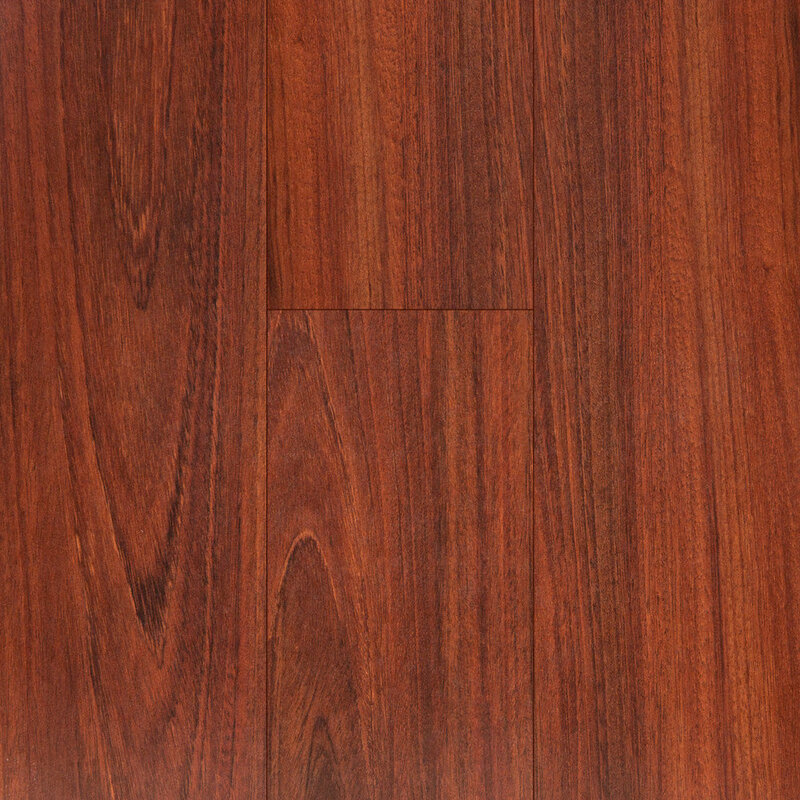 Laminate materials are rarely harvested from endangered or rare species of trees. In addition to this, most of the materials used in laminate flooring can be recycled, reused or re-purposed which is great for the environment. 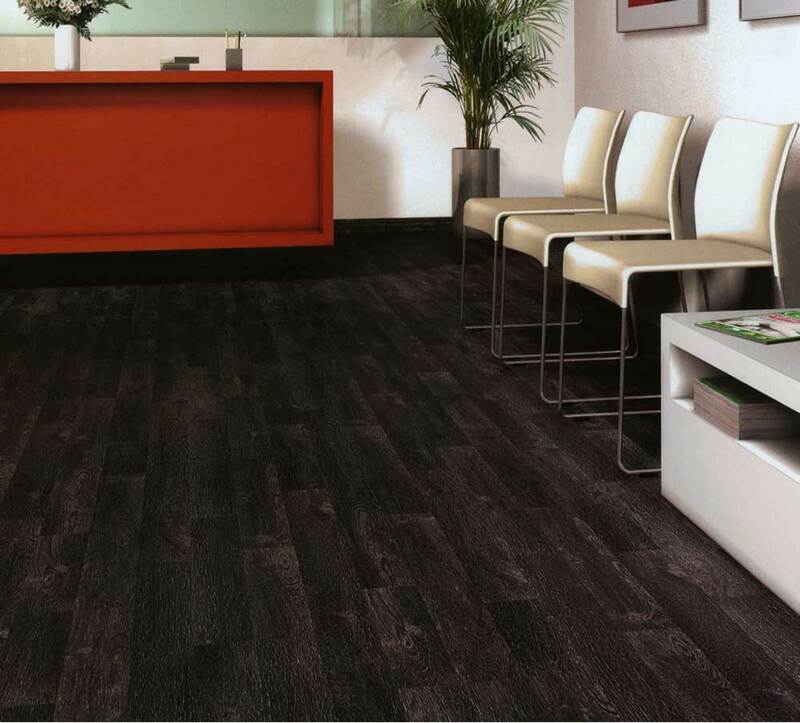 As mentioned earlier, laminate flooring is quite versatile in terms of form and function. 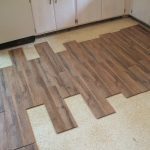 A major benefit of this kind of flooring is that it can be installed in virtually any room with the exception of bathrooms and laundry rooms. It is also suitable for any geographical location. Whether you live in a humid or cold location, Laminate flooring can suit any climatic condition. Laminate flooring has protective coating that enables it to impede the growth of bacteria and mold. This means that it is very suitable for people who are very allergenic. The floor is also easy to clean, which allows you to do away with dirt, dust or any other allergens that may trigger an allergic reaction. Most flooring materials that are modular in nature may be subject to expansion and contraction that many affect the overall structure. For instance, some composite flooring panels that are constantly exposed to natural light may inevitably get warped due to the process of expansion and contraction. In contrast, laminate floor panels lock into each other securely which means that when there are changes in temperature and pressure, the panels can expand and contract without snapping, buckling or getting warped. Imitation is a form of flattery and it is also a great component for creating illusions. If you are unable to install a hardwood floor but want to achieve a similar look all you need to do is to shop around for the right hardwood design. And it does not stop there. You can get plenty of faux designs ranging from a ceramic look to faux marble. If you are looking for more edgy designs, you could go for leopard print or floral designs. Many manufacturers actually allow buyers to offer their styling ideas which are used to create custom laminate designs. Isn’t it great to have your own design floor design that you will not see anywhere else? Kitchen floors often take a pounding. From food and water spillages to constant foot traffic, the kitchen is possibly the busiest room in any home. Laminate flooring is the ideal kind of floor surface for kitchens because it can withstand spillages and does not get scratched easily even when sharp utensils fall down. It is important, though, to ensure that any spill or debris is cleaned up as soon as possible for general safety and hygiene. Laminate flooring is currently one of the most common alternatives to hardwood which means that there is a high demand for it in the market. 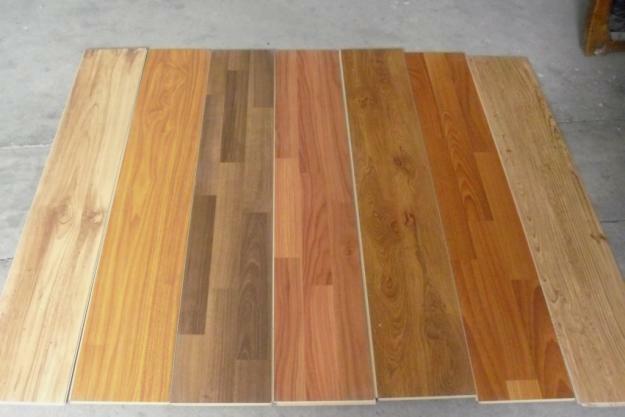 The result is an influx of manufacturers of laminate flooring materials. Since they started being produced around the 1970’s laminate floor components are now more widely available and accepted by homeowners. 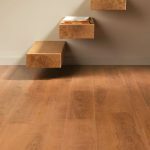 Now there are even brand names such as Gentoo Laminate Flooring and Sunspeed Laminate Flooring that are easily identifiable by retailers and buyers alike. 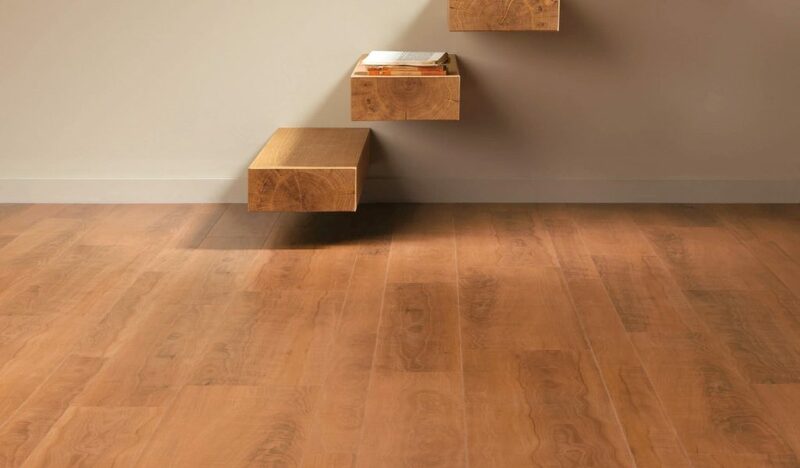 It great to have plenty of choices to pick from but this means that buyers also have to make sure that they do their research before settling on a particular kind of laminate flooring. Apart from keeping the surfaces clean, there is not much else you need to do to maintain laminate flooring. 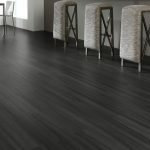 Whereas many other types of floors require elaborate and extravagant upkeep procedures, Laminate material can basically be described as the best no-frills option for your floors. 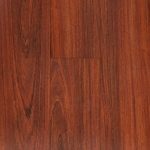 In cases where the laminate panels are installed on top of the subfloor, the resultant look is often referred to as floating finish. This is a great method of installation because it is not complex and the subfloor offers a sufficient base for a sturdy laminate floor. Laminate floors can be installed on pre-existing vinyl or concrete floors. In contrast, hardwood floors cannot be installed on a subfloor. This makes laminate flooring a very prudent option. Despite the fact that laminate material has a protective resin coating, it is advisable to try as much as possible not to expose to the surface to high levels of moisture. Water damage may occur over time which is why it is not advisable to use this kind of floor for bathrooms and laundry rooms. Laminate material can easily tolerate cleaning, ordinary everyday spillages but it could degrade over time due to constant exposure to excessive amounts of water and moisture. To sum all this up simply, laminate flooring is resistant to moisture but not completely waterproof. Unlike natural wood flooring that can be refinished when signs of wear-and-tear begin to show, laminate flooring simply has to be replaced. 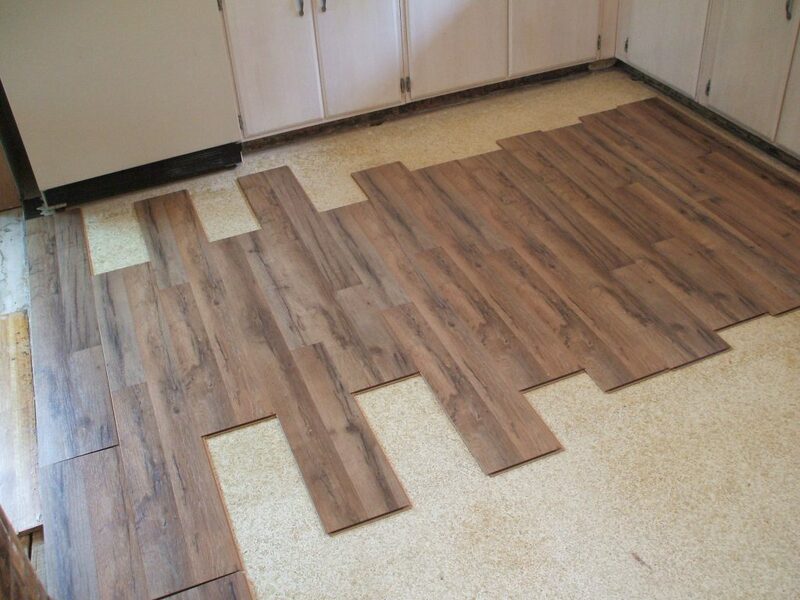 This may seem daunting but the upside to this is that it often takes a long time for laminate material to get damaged and since it is relatively cheaper than other types of flooring, it may not be much of a hassle. 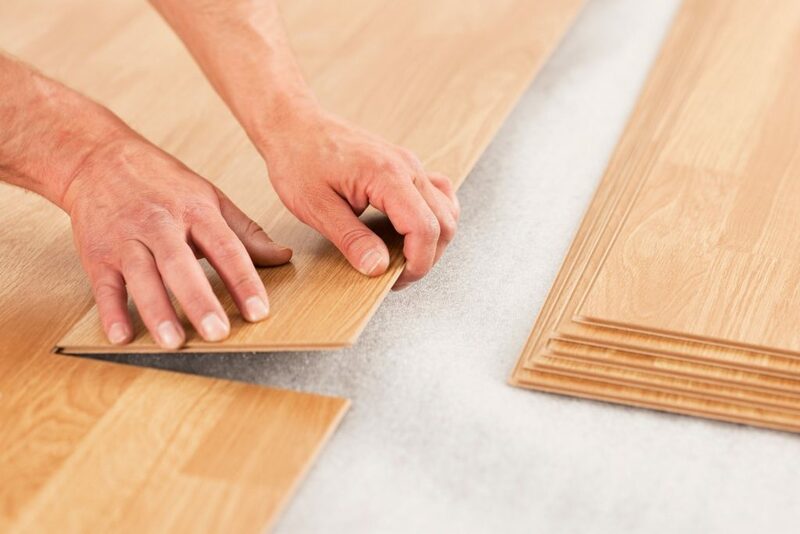 Before purchasing laminate flooring materials, ensure that you find out if the manufacturer offers a warranty. Many established suppliers offer this incentive to buyers to enhance buyer satisfaction. In most cases, laminate products that have a significantly higher warranty are more durable and have greater quality. Try as much as possible to avoid very low-priced laminate flooring because the quality may be sub-standard. It is important to note that although laminate flooring includes wood by-products in its composition, it is different from veneer flooring. They may look similar in appearance but veneers are composed of a natural wood sheeting. Unlike laminate flooring, veneer floors can withstand a certain degree of refinishing after a while and this is dependent on the veneer thickness.Veneers are a great option for those who may not want laminate floors but want an option that looks more solid wood. Ensure that you hire a qualified professional to do the installation if you are not able to do it on your own. 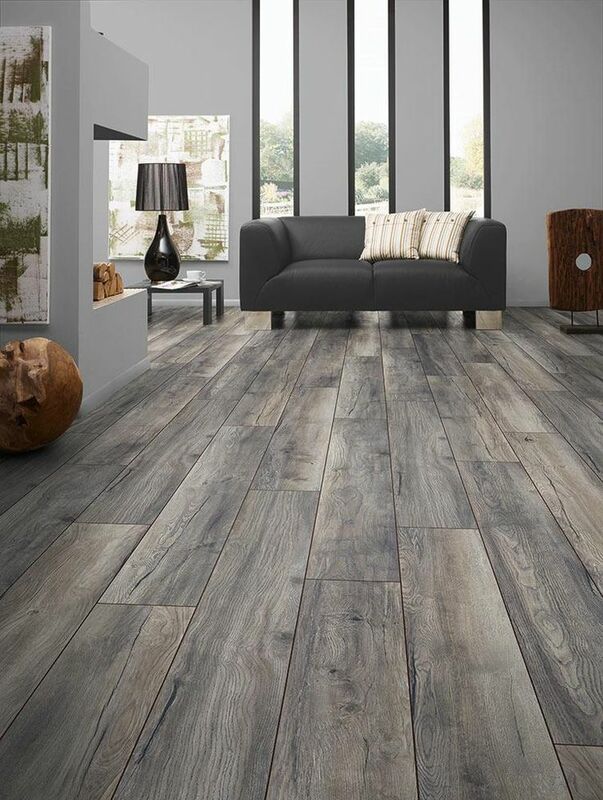 So why would anyone choose laminate flooring when there are plenty of alternatives in the market. Well, some of the obvious benefits include affordability, quick installation, easy accessibility, comes in plenty of designs and is not difficult to maintain. In addition to this, it is an eco -friendly option that helps you play your part in the conservation of the environment. 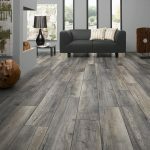 If you prefer a rustic look without spending an exorbitant amount of money laminate flooring is definitely a great option.